Excellent help on ordering parts . Carlos and Juan are very knowledgeable, friendly and have patience when dealing with customers. INFINITI is known for producing a family of superbly equipped vehicles, from the efficient Q50 and QX50 to the spacious QX80 SUV. Drivers across Long Beach, Torrance, and Fullerton can find a car that’s fit for them at our INFINITI dealership. Whether you’re looking for a brand new INFINITI or a certified pre-owned, there’s no better place to find one than at our INFINITI dealership, and the reason is simple. As a luxury car dealer, we believe your experience should be as refined and inviting as the vehicles we carry. Through hard work and unparalleled service, Cerritos INFINITI has built a solid reputation as the go-to dealership serving the communities of Long Beach, Torrance, Fullerton, and beyond. Our reputation has stood the test of time because that work ethic is upheld by every one of our departments. Our team firmly believes in the dealership’s core philosophy: Conduct every aspect of our business with the highest level of integrity. Our goal is to have every person who walks through our door feel welcomed, respected, and fully satisfied. Once you’ve roamed our showroom and found a car you like, financing or leasing is the next step in your journey. Our finance team has years of experience in auto finance, and they’ll make applying for a loan easy. They can show you how to fill out our online form and get pre-approved in a matter of seconds. Most importantly, they’ll work with you to go over your budget and develop the best payment plan for your situation. Our finance team has built relationships with banks and credit unions across Southern California, and they’re happy to work with yours to get you the best rates possible. All the service technicians at our dealer are ASE-certified and factory-trained. Even though we specialize in servicing and repairing INFINITI models, we have the skills and experience to work on any vehicle. For your oil changes, tire inspections, alignments, and more, our technicians are up to the job. 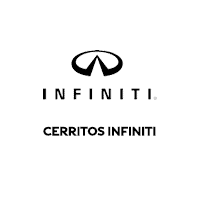 A combination of training, specially-designed diagnostic tools, and an outstanding commitment to customer service make the service department at Cerritos INFINITI one of the most highly regarded in Southern California. Check out our current specials to find more savings on some of our most popular parts and services, and keep your vehicle performing at its best. If you’re looking for exceptional vehicles and service to match, you’ll find it all at our dealer. When you decide it’s time to search for a new, used, or certified pre-owned car, or you’re in need of quality, routine automotive maintenance, Cerritos INFINITI is the place to go. We welcome you to browse our website and schedule your test drive online today!